Japan’s second Quasi-Zenith Satellite, nicknamed Michibiki 2, will join a similar craft launched in September 2010 to improve navigation in the country, augmenting signals broadcast by the U.S. military’s Global Positioning System. 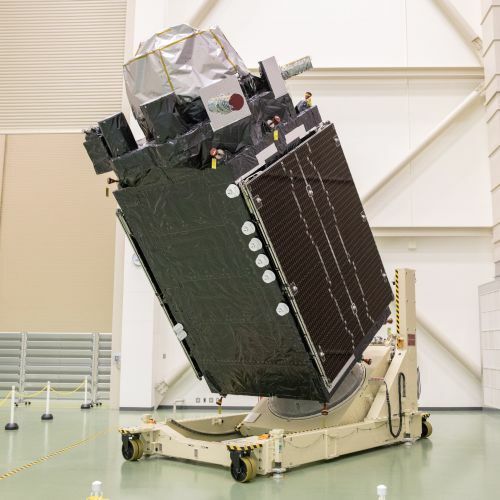 The Michibiki 2 satellite is set to blast off on top of an H-2A rocket at 0017:46 GMT Thursday (8:17:46 p.m. EDT Wednesday) from Launch Pad No. 1 at the Yoshinobu launch complex at the Tanegashima Space Center, Japan’s primary spaceport at the southwestern edge of the country’s main islands. Liftoff is timed for 9:17 a.m. Japan Standard Time, when the 174-foot-tall (53-meter) H-2A rocket will fire its hydrogen-fueled main engine and two strap-on solid rocket boosters and soar toward the east over the Pacific Ocean. 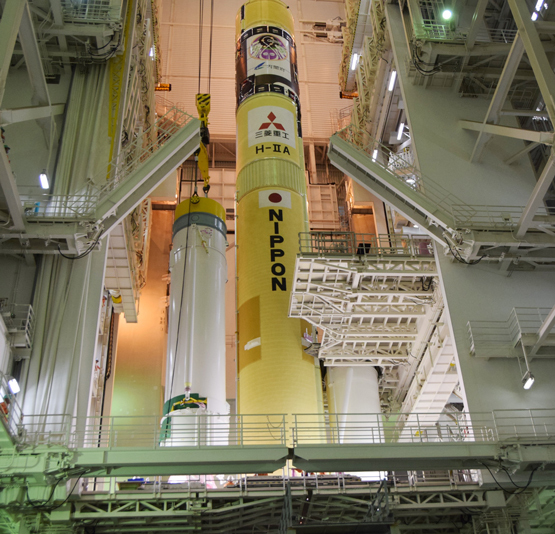 Ground crews with Mitsubishi Heavy Industries, the H-2A’s prime contractor, will roll the rocket out to the launch pad Wednesday, a little more than 12 hours before its scheduled liftoff. 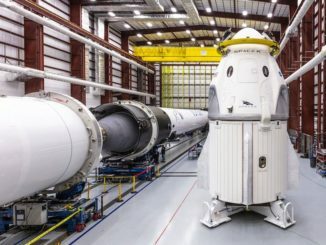 The H-2A will ride upright on a mobile launch table for the half-hour journey, and technicians will connect the rocket with ground propellant supplies and electrical systems once the rollout is complete. Then the launch team will check the rocket’s telemetry and destruct mechanisms, put the H-2A’s engines through a steering test, and fill the launcher’s propellant tanks with super-cold liquid hydrogen and liquid oxygen. An automatic countdown sequencer will take control less than five minutes before liftoff, overseeing pressurization of the H-2A’s fuel tanks and other last-minute launch preparations. In the final seconds of the countdown, igniters will switch on to burn off any explosive gaseous hydrogen accumulated near the rocket before ignition of the first stage’s LE-7A main engine. Moments later, the launcher’s twin solid rocket boosters will ignite to send the H-2A skyward. Climbing through the atmosphere on 1.4 million pounds of thrust, the H-2A will arc toward the east before its two side-mounted boosters burn out at T+plus 1 minute, 38 seconds. Ten seconds later, the twin motor casings will jettison to fall into the Pacific Ocean. The H-2A’s payload fairing, a shroud enclosing the Michibiki 2 spacecraft on top of the rocket, will release from the launcher at T+plus 4 minutes, 10 seconds, at an altitude of around 93 miles (151 kilometers). The first stage’s main engine, generating nearly 250,000 pounds of thrust by itself, will continue firing until T+plus 6 minutes, 38 seconds, then the first stage will separate from the H-2A’s second stage approximately eight seconds later. A single engine on the upper stage, named the LE-5B, will start up at T+plus 6 minutes, 52 seconds, for a burn lasting more than five-and-a-half minutes. The LE-5B engine will switch off at T+plus 12 minutes, 34 seconds, then reignite at T+plus 24 minutes, 34 seconds, for a three-minute firing to send Michibiki 2 toward its high-altitude target orbit. The Michibiki 2 spacecraft, built by Mitsubishi Electric Corp., will deploy from the H-2A rocket’s second stage at T+plus 28 minutes, 24 seconds, according to a timeline of the launch released by the Japan Aerospace Exploration Agency. The H-2A’s guidance computer will aim to place the payload into an elliptical transfer orbit ranging in altitude from a low point, or perigee, of 155 miles (250 kilometers) to a high point, or apogee, of 22,456 miles (36,140 kilometers). The planned orbit will be inclined 31.9 degrees to the equator, according to JAXA. It will be the 34th flight of an H-2A rocket since Japan’s workhorse launch vehicle debuted in 2001, and the third H-2A launch this year. Weighing around 8,800 pounds (4 metric tons) at liftoff, Michibiki 2 will use its on-board engine for a series of orbit-raising maneuvers in the first two weeks of its mission to reach a near-circular inclined geosynchronous orbit. Michibiki 2 will circle the Earth at a 44-degree angle to the equator, similar to the perch occupied by Japan’s first navigation satellite launched nearly seven years ago, according to a press kit released by JAXA. Its final orbital high point will be approximately 24,000 miles (38,500 kilometers) over the northern hemisphere and its lowest altitude will be 20,500 miles (33,100 kilometers). The orbit will allow Michibiki 2 to complete one lap around Earth in nearly 24 hours, maintaining its position in the sky over the Asia-Pacific. Projected against Earth’s surface, Michibiki’s ground track will chart an asymmetric figure-eight pattern stretching from Japan to Australia as it alternates north and south of the equator. Michibiki 2 will be near-zenith, or almost straight up, in the Japanese sky for about eight hours each day. With the launch of two follow-on satellites and the single spacecraft already in orbit, the four-station constellation will permit continuous coverage of Japan. Michibiki means “guiding” or “showing the way” in Japanese. The network will help ensure drivers, hikers and other users can constantly locate themselves. Skyscrapers in cities, such as Tokyo, and mountainous terrain can block signals from GPS satellites, which are located in orbits closer to Earth than the Michibiki satellites. The GPS constellation, operated by the U.S. Air Force, flies 12,550 miles (20,200 kilometers) above Earth. Although there are at least 30 operational GPS spacecraft, only a small fraction of the fleet is visible from a single point on Earth at one time. 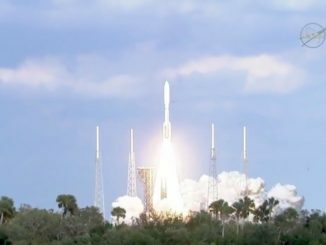 Officials say urban planning, agriculture, disaster response and national security will be supported by the four-satellite navigation fleet. 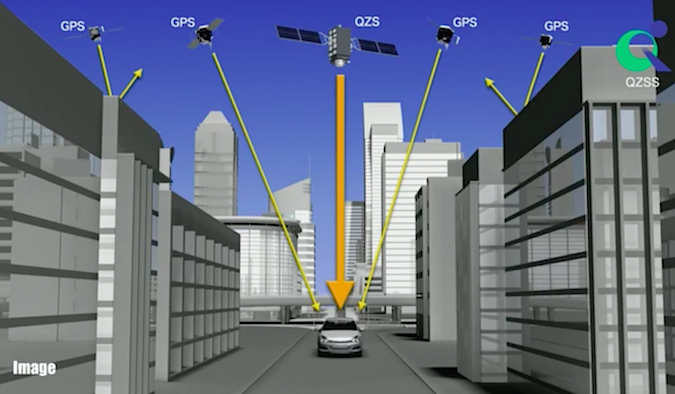 Nations are making proactive efforts based on the awareness that satellite positioning technologies are the foundation of next-generation industry, including the Internet of Things,” Moriyama said. Yasunori Futagi, Michibiki 2 project manger at Mitsubishi Electric’s Kamakura Works satellite factory, said Japan’s second navigation satellite is lighter than the first one, featuring more compact solar panels. 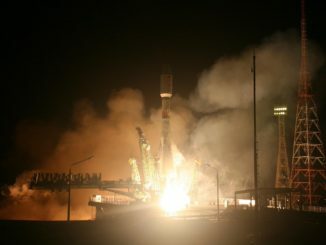 Engineers were able to load more propellant into Michibiki 2, and increased the satellite’s design life from 12 years to 15 years, he said. Engineers are in the final stages of readying two more spacecraft for the Quasi-Zenith Satellite System, or QZSS, scheduled to launch on H-2A rockets by the end of Japan’s fiscal year 2017, which rolls over March 31, 2018. The Michibiki 3 satellite, which is slightly heavier than the other three Quasi-Zenith Satellites, will go into a different type of orbit over the equator, requiring the power of a heavier H-2A rocket with four strap-on boosters, JAXA said. Michibiki 4 will into the same kind of orbit as Michibiki 1 and 2.